This double conversion down converter is intended for use in professional applications in S band such as satellite earth stations. The 3 inbuilt channel modules allow to serv 3 individual downlink path in one commonr unit. 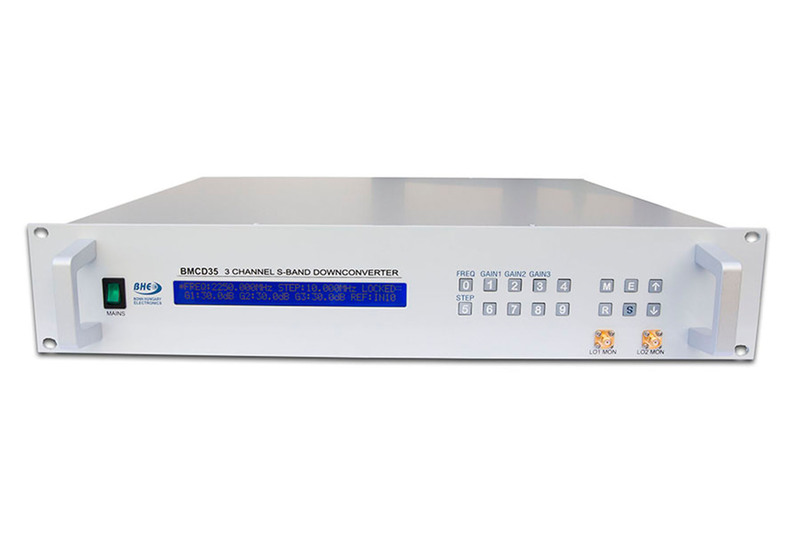 BMCD35 includes high performance down converter modules with low noise local oscillators, microprocessor based monitor and control circuitry, a front panel with control keys and status display and own AC / DC power supply. BMCD35 can be controlled from the front panel (manual control) and via Ethernet (remote control).